I think it’s pretty safe to say that every parent out there has battled with their children at some point to cooperate and do what they’re asked. It might be that you want them to get their shoes on so you can leave the house. Or brush their teeth before bed. Or tidy up the toys that they’ve spread all over the living room. Whatever the particular task is, when your child isn’t in the mood to do it it can be really hard to get them to cooperate. There is something you can try though that will help make it more likely that they will cooperate with you. If you can make the activity fun, and more like a game, there’s a far better chance your child will cooperate with you on it. Lets say you have a toddler who doesn’t want to brush their teeth. You could try to explain how important it is that they do it. That the tooth fairy will be sad if they don’t look after their teeth. You could promise them a trip to the park if they do it. You could get frustrated and end up shouting and then feel bad. Or you could get creative. You could tell them a story about pirates that have stolen some treasure and the only way to help the princess get it back is by brushing their teeth. Or you could come up with a silly tooth-brushing song that you sing each time, with special dance moves to go along with it. The same thing goes if you want them to tidy up their toys. Play them a special ‘tidy up time‘ song to make the whole thing more fun. Or challenge them to see how quickly they can put all their toys back in the basket. 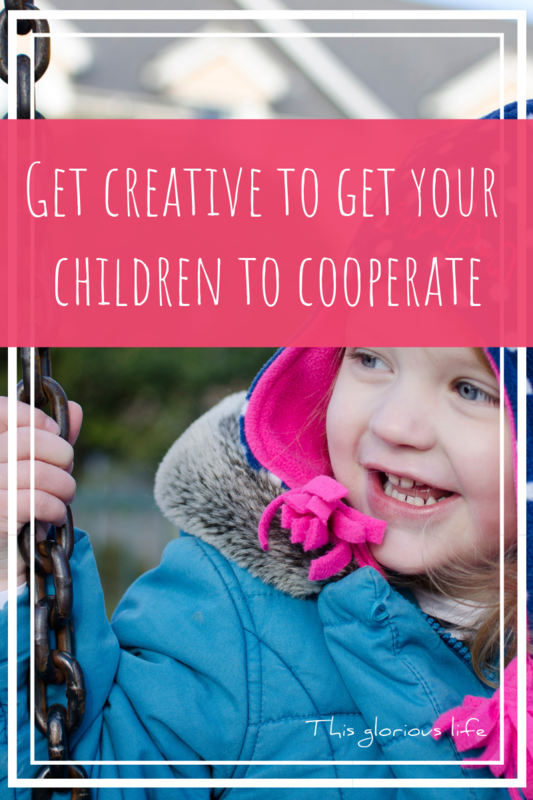 If you can make a game of it, rather than making it a chore, your child will be much more likely to cooperate with you. You can use this technique for all sorts of things that your children might not always cooperate with you on. Sing a fun song or play upbeat music while they get dressed for school in the morning. Make a game of throwing their dirty clothes into the laundry basket. Play catch as you practice times tables. 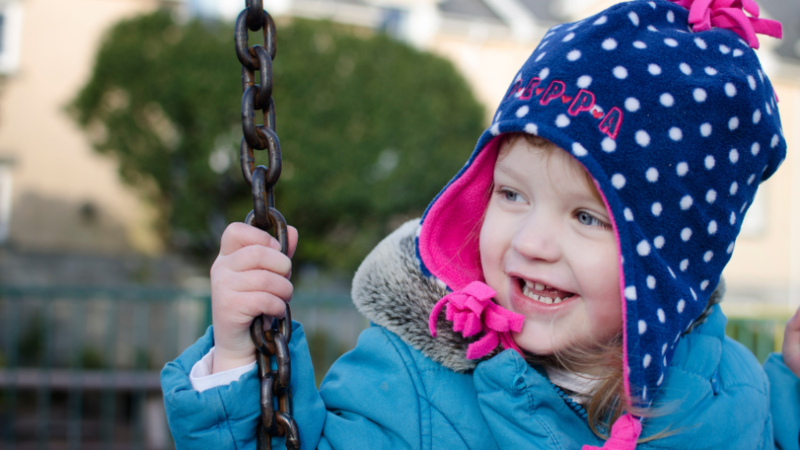 Tell them a story or act out scenes from their favourite film to keep them walking home from the shops. We live up a hill and Nerys used to pretend to be Elsa running up the mountain singing ‘let it go’ to make it back to the house without complaining. Challenge them to get their shoes and coat on before a timer runs out. Whatever it is that you want your child to cooperate with, try to get creative and use your imagination to bring your child into a world of make-believe and play. I’m not saying they’ll always go along with it. But by making these tasks more fun there’s a much higher chance that they will cooperate. And while you might not always be in the mood for singing and playing and being silly, going down that route is pretty much always going to be better than nagging and getting frustrated. The games don’t need to be complicated, and your stories can be completely nonsensical. It really doesn’t matter. As long as your child is having fun and distracted from the reality of the boring task you’re asking them to do you’ll be on to a winner.